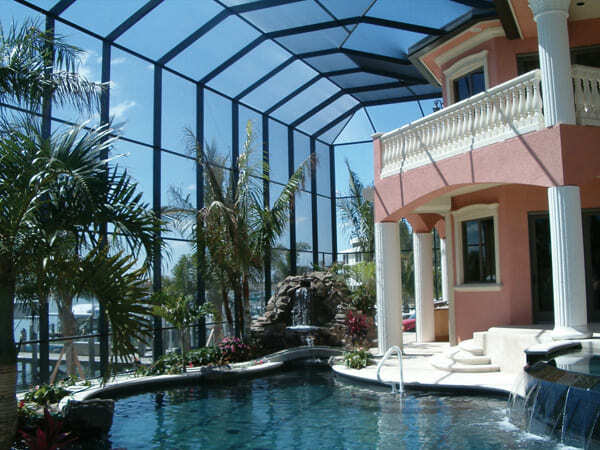 Nano 50 is perfect for porches, patios, pool enclosures and replacement window screens and patio screen doors. Nano 50 (like Super Screen) fabric utilizes an extrusion-coated polyester core yarn that makes it highly resistant to punctures and tears, caused by falling debris and pet or pest damage. Perfect for high traffic areas or where pets may come into contact with window screens or screen doors. Nano 50 is also UV tolerant and therefore will not bleach, fade, or flake like traditional fiberglass screen material with extended sun exposure. Nano 50 comes with a Ten-Year Limited Warranty and will outlast traditional fiberglass fabric by 4-6 years. Nano 50 is manufactured by Twitchell Technical Products in the USA. Twitchell was the original contract manufacturer for the fabric branded as Super Screen. SuperScreen is a trademame. They used to use Twitchells product. They now use a product called tuff screen and call it SuperScreen. There is a difference. Nano 50 is the best there is, The product is superior! Advantages: Slicker threads, algae, resistant, The polyester core is really flexible. The other products threads are not coated with an extruded PVC coating, and they tend to gather and hold dirt with their coarser coating. Exactly what was required and arrived on schedule. It looks like a nice quality of screen. It was much more substantial that what was up originally. Time will tell! Advantages: Maybe there won't be any more holes in the screen for many years. Installed all but 40 inches of a 100 foot roll over a 3 day period. First time using Superscreen. It will be the only screen I use on ALL future applications. Advantages: Strength. Yet flexible and with 0.160 spline, it installed in a Screen Tight system with ZERO rips, and I install screening very tight. Disadvantages: More costly than standard screen (fiberglass) but more than worth it! Strong - keep new blades in your knife to cut clean edges. Excellent product! Super screen is strong, durable, ans looks great when it is installed. Much better than the old aluminum screening. I would highly recommend this product for both window screening and porches. Screen shipping same day ,it was Black super screen that was pet resistant. Very strong!! Easy to use web site, good instructional videos how to measure correctly. Ordered six screens of different sizes, all fit just as they should have. Locking hardware was located correctly. For sure will be ordering other items, got a big porch to screen in as the next project.